Is Your Australia Visa Services Consultant Registered With MARA? We all know and most of us are quite aware of the very important role played by the Australian Visa Services Consultants. Since the late 90s, there has been a rise in the number of immigrant applications submitted for Oz, so the application of the golden rule of “demand and supply” has made perfect sense. As there has been a rise in the immigrant applications in the very same there has been a rise in the demand of the professional visa service consultants. As we all know that a consultant is basically a person who offers his quality advice and also offers his required assistance whenever the clients ask for it. But do you know that before selecting any professional there are certain things that you are supposed to check to ensure that you are dealing with the right person? Like we say not every person can become a consultant, in the very same way each and every agent cannot be the specialized one. So here are some vital suggestions for you. We hope they play a significant role in assisting you selecting the right expert. When we talk about a visa consultant, then an image of a person appears in our mind–a professional whose knowledge is up-to-date about the Visa, the immigration laws, and the current changes in the laws or visa policies. We are right in our expectations and if you ask why then here is the answer. A person who is working as an Australia visa services consultant will prove no good if his knowledge is not up to the mark. Let’s say, for an example, you choose to visit Down Under even as the agent does not know the recent policy changes, the outcome will certainly not be good; in fact, it the rejection of your visa. Why? It’s simple; he will end up filling incomplete or improper application or will fail in telling you what all documents are required. Well what else you can expect from a person whose knowledge is not up to mark. Will he cause you any good? Certainly no! Do you know about MARA? If not then here is the information regarding MARA. MARA, which is also known as Migration Agents Registration Authority, is the professional body for the industry in Down Under. If the consultant that you have hired or are planning to hire is registered with MARA, then it’s a plus. It’s an added advantage that certainly increases the chances of the approval of your visa application. It’s very simple a consultant who is the current member of MARA is definitely the one who is not only has a nice and clean record but also he is the one who has the most up-to-date knowledge about the current visa policies. As a member of MARA, the agent has to operate within a certain Code of Conduct which is governing the industry. Not only this, as a MARA member, he is obliged to act within the best interest of his clients at all times. We know and understand quite well that a consultant is one who is not only specialized providing best advice available along with his required assistance to his clients whenever they need it. Most of us approach consultants when we wish to live, work or visit Australia. But at times, we end up selecting the under qualified professionals which result in our visa refusal. After we have checked their knowledge and association, here are few more things that we should check too! The professional should offer his advice regarding the most appropriate visa prior to you filling the visa application. He must provide you with all the required application forms and offer his assistance in filling them. He must explain all the procedures that are involved. 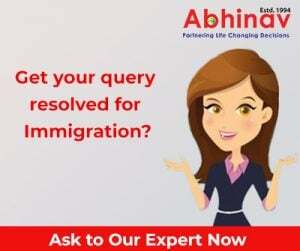 As a client, it’s your right to be fully aware about the period that is required for processing your visa application and these details regarding the time and also the various stages must be shared by the consultant. Are You Keen to Know How to Become Canada permanent Resident?